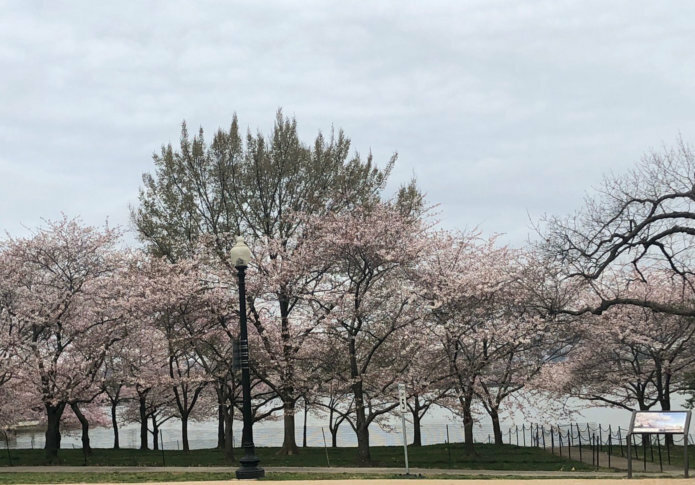 About a fifth of the Yoshino cherry trees spread along the Tidal Basin are now at full blossom, the National Park Service says — ahead of expected strong winds later this week that could wreak havoc on the newborn blossoms. 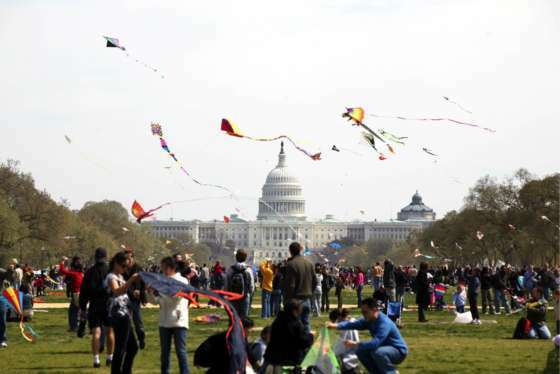 WASHINGTON — About a fifth of the Yoshino cherry trees spread along the Tidal Basin are now at full bloom, the National Park Service says — ahead of expected strong winds later this week that could wreak havoc on the newborn blossoms. “Peak bloom” won’t be officially reached until about 70 percent of the iconic pink and white buds peek out. That’s projected for April 5-8, the park service said. The peak bloom date has shifted around over the past month. Initially projected for March 17–20, it has been pushed back twice because of colder-than-average spring temperatures. On April, the park service announced that the blossoms had advanced to the “puffy white” stage.